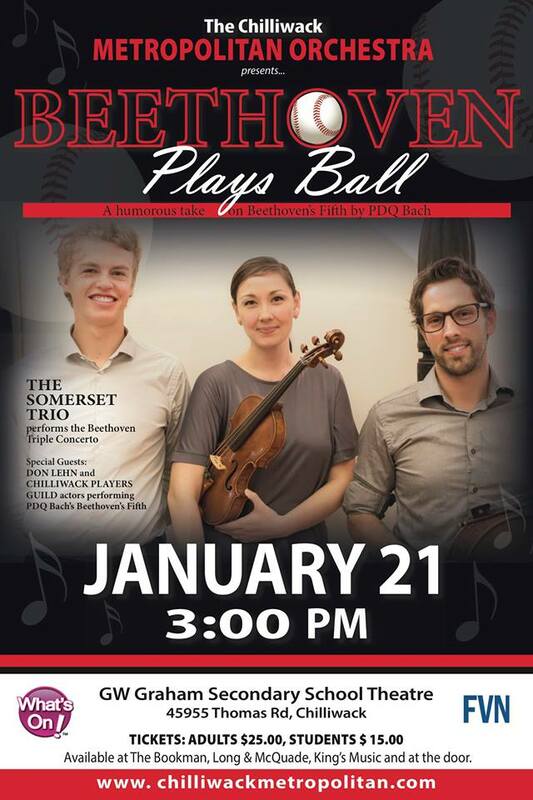 Chilliwack – “BEETHOVEN PLAYS BALL” what a strange title for a concert. On January 21st. The CMO will again joining forces with friends from the Chilliwack Player’s Guild, The Player’s Youth Guild and Don Lehn from FVN Fraser Valley News, Sports and Entertainment. If you are looking for wonderful music and good fun this is the concert for you. PDQ Bach’s Beethoven’s Fifth is like nothing your have ever seen and heard – a Concertcast! To be performed at GWG Theatre at 3pm Sunday January 21st. Tickets to go on sale Monday Dec. 4th at The Book Man, Long and McQuade and King’s Music. This concert has something for those who love humour as well as those serious music buffs. 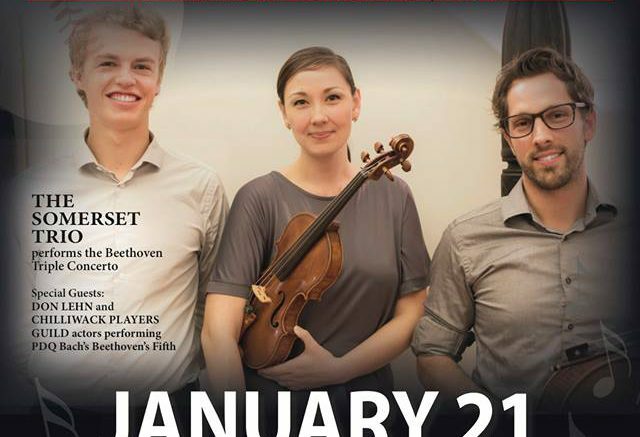 Be the first to comment on "Beethoven Plays Ball With Chilliwack Metropolitan Orchestra And FVN – January 21, 2018 (VIDEO)"